They go by many names: rehearsal studios, rehearsal rooms, band practice spaces, jam rooms, music practice rooms etc. and Melbourne has a plethora of them. Bands and amplified music groups need them so they don’t disturb their neighbours. 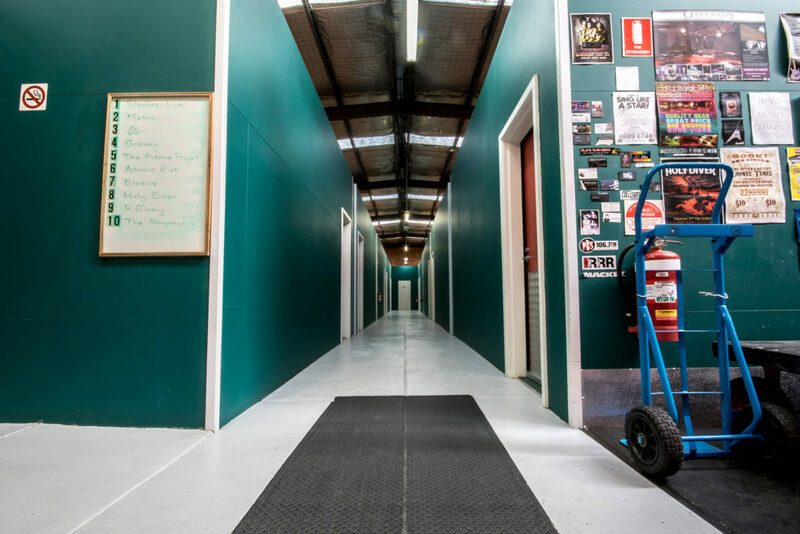 Hydra Rehearsal Studios is a fairly new (2008) professionally designed, built and well maintained music rehearsal studio complex in Melbourne, Burwood, Victoria, Australia. Hydra has ten, 30m2 (5m x 6m) rehearsal rooms for hire and each rehearsal room is fitted with high quality and powerful 2400w PA and foldback combos. 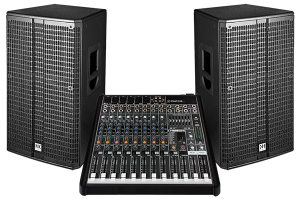 In March 2013 the PA systems were upgraded to HK Audio powered speakers and Mackie desks. 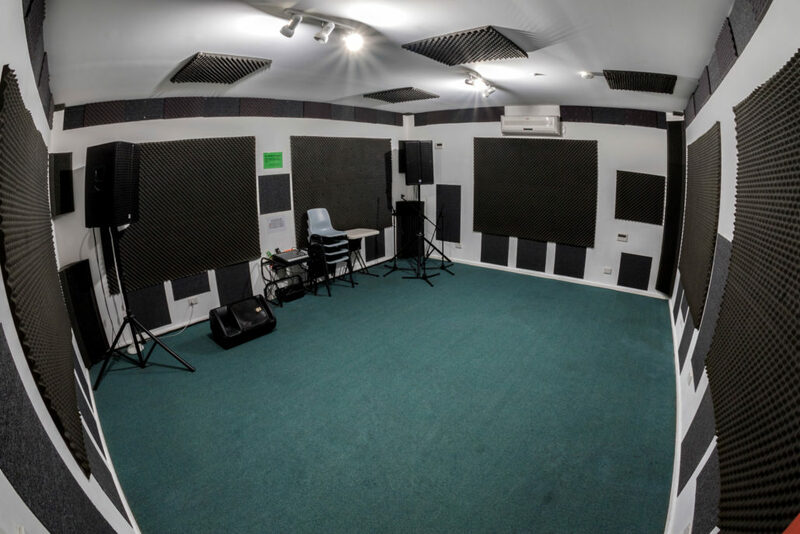 Each rehearsal studio is very well soundproofed, acoustically treated and is fully air-conditioned and ventilated. Parking is great – there are no parking restrictions in the street and there’s plenty of it. Load-in is easy – customers can drive right up to the main doors and there is a virtual fleet of different types of quality trolleys to use. Hydra has sponsored, staged and organised many gigs over the years and was a long-time sponsor of Saltar Hype’s ‘Rock The Bay’, ‘Showdown’ and ‘Creepshow’ festivals. Hydra assists its customers with organising gigs, finding venues and sound engineers, finding support bands and forming line-ups, and engaging promoters and marketing support. Hydra is a manned facility and there is always a manager on duty to assist you. The primary focus of the studio is that each band/artist has a successful and trouble-free rehearsal whilst using the facilities. Hydra’s managers can make sure singers can be heard above the band, that backing tracks are clear, that the acoustic guitar sounds the way the customer wants it to through the PA; and if something like a mic lead stops working, it gets replaced immediately. The studio managers stay out of the customers’ hair and give them their space, but are always very ready to assist should anyone need it. The facility is constantly being improved and upgraded and management listens very carefully to customer feedback. One of the advantages of being a manned rehearsal studio is actually meeting the customers and truly discovering, ‘what musicians want’.